One of the highlights of our annual White & Wild Japan photo tour is undoubtedly photographing eagles on floating pack ice off the coast of Hokkaido. This is one of them, the white-tailed eagle (Haliaeetus albicilla). The wingspan of an adult is about 200 to 250 cm (80 to 98 inches). Because of this large wingspan, it’s often called flying barn door. 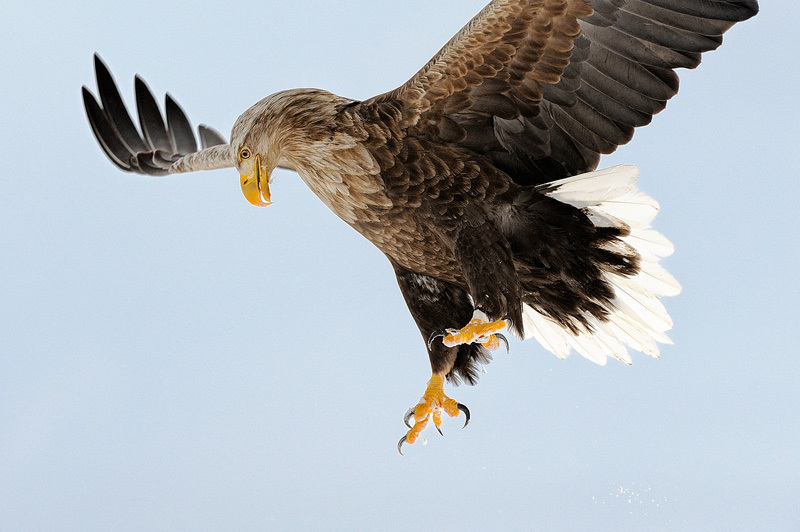 The white-tailed eagle is closely related to the well-known American bald eagle (Haliaeetus leucocephalus).